Remove the fuel injection fuel rail noiseshield-(1). 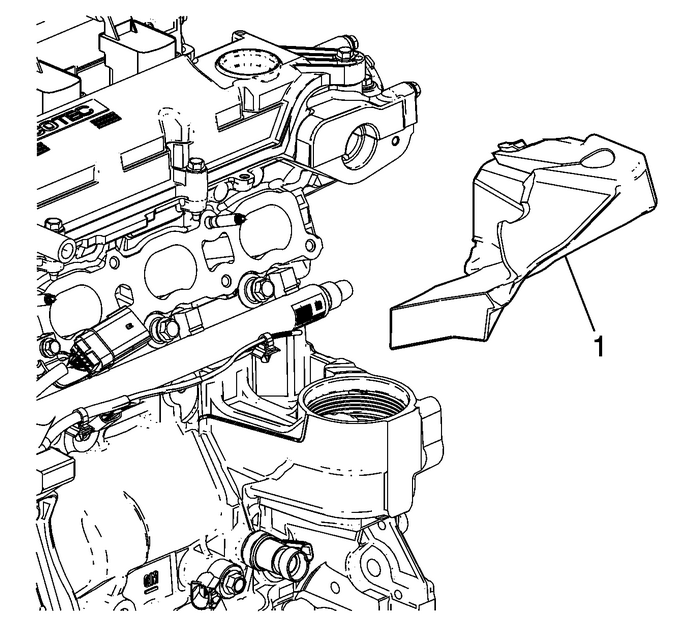 Disconnect the electrical harness from the fuel rail harnessconnection.Disconnect all 4-fuel injector electricalconnections.Remove the fuel rail assembly retaining bolts. 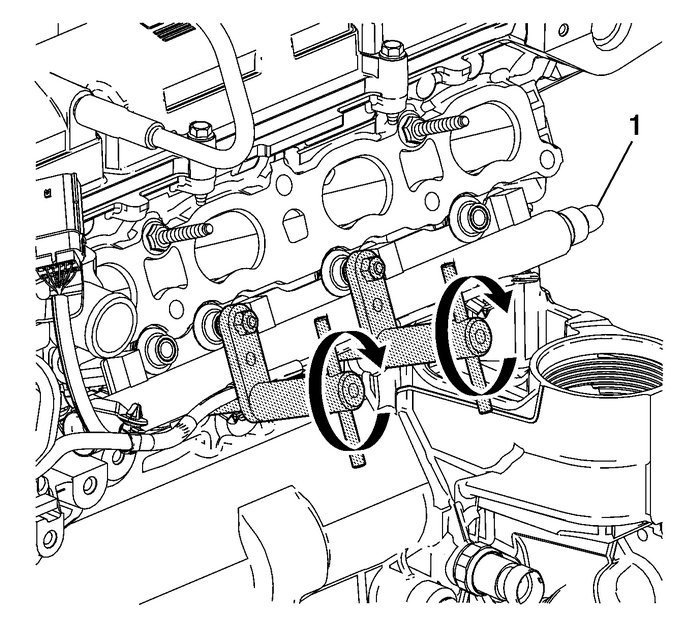 Note:Use care to avoid contact with the fuel rail harness duringspecial tool installation and fuel rail removal. InstallEN-49248studs-(1) into the 2 center fuel rail assemblyretaining bolt locations. Tighten the studs to22-Y(16-lb-ft).InstallEN-49248remover-(2) onto each stud, and engage the hooks tothe fuel rail. Install the nuts-(3) retaining theremover onto the studs and tighten until snug. 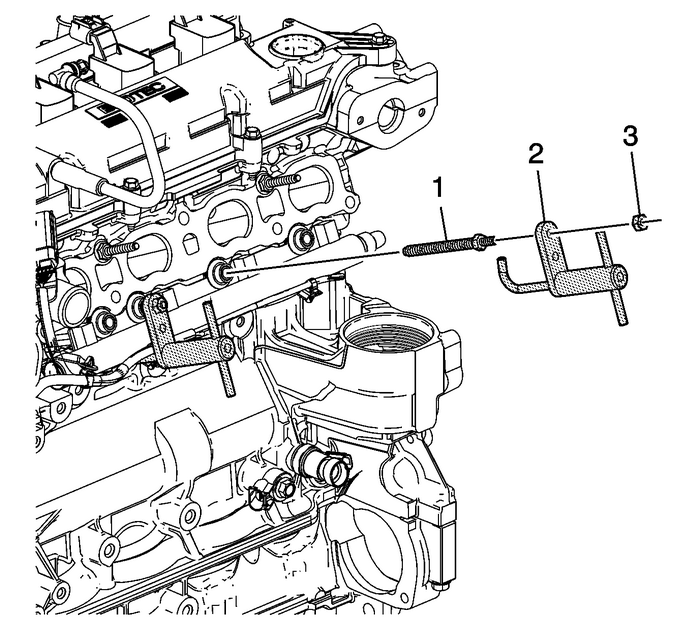 Turn the handles simultaneously in order to pull the fuelrail straight out along the fuel injector axis.DO NOT twist when pulling out on the fuel rail and injectorassembly.UsingEN-49248remover, remove the fuel rail assembly-(1).